This may be source material for all the time travel stories that I read or watched. This was also adapted in films multiple times. 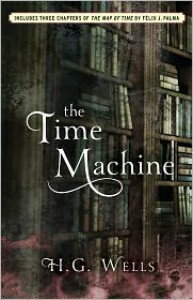 The one that I watched was The Time Machine (2002). I can now see why, the original material is short. The film has to add more material to flesh out scenes and added characters. While I can see the enthusiasm of the Time Traveler, which was unnamed in the book, almost all characters are unrelatable. The story used first person point of view with which the point of view character not the Time Traveler. Because of this, the Time Traveler narrated his adventures instead and Wells used this to inject his social commentaries. I prefer “show” not “tell”. And I prefer my commentaries subtle, not out-there. Overall, I still liked this book. Will definitely continue reading classics. I always read more than a book at a time. Lately I find that I am not satisfied alternating between two long (longish?) books, so I’ll try reading shorter works along side longer works instead. 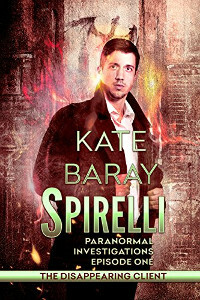 This week I picked The Disappearing Client, the first episode of Spirelli Paranormal Investigations, an urban paranormal series, by Kate Baray first published in 2015. 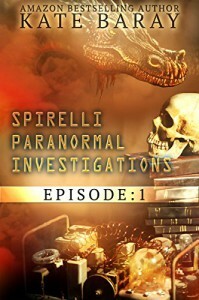 The story opens with Jack Spirelli, a junk shop owner, and he just soft launched his investigating agency. He is human but connected to the magic-using community and the Inter-Pack Policing Cooperative that give him gigs. He floated the idea of hiring an assistant investigator and along came Marin, a human slash dragon applying for the job. After she was hired, off they go for their first job together. Their supposed body guarding job was changed to search and rescue when their client was no where to be found. What happened to her and could they find her in time. Paranormal investigators of course reminds me of the Harry Dresden series. The use of “episode” format fits because this is short and like police procedurals in TV the main story is self-contained. The character stories, I hope, might continue on with the series as I am interested in revisiting the characters again. Quick rating: I loved it. I was introduced with the concept of the multiverse and the many-worlds interpretation of quantum mechanics by way of the television series Sliders (1995-2000). In the series, we met four travelers traversing the seemingly unlimited worlds of the multiverse and trying to get back home. 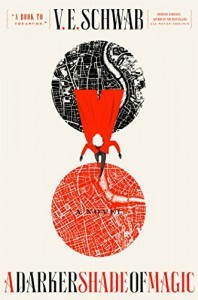 I found the concept intriguing and when a story touches upon parallel worlds I grab it and watch or read it (as evidenced by my last book review). But, this review is not for Sliders (I will post reviews of its episodes when I start my rewatch. 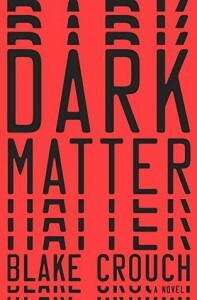 ), this is a review for Dark Matter, a 2016 science fiction-thriller book, by Blake Crouch, which, like Sliders, features the multiverse. The book revolves around Jason Dessen, a college physics professor, a husband and a father. He was abducted one night and then woke up and found out that he is now a famous scientist, just like he always dreamed, but he is not married to his wife and his son was never been born. Realizing that this is not his world, he will find a way to get home to his wife and son by passing through world after world. The definitely liked how the pace of the story. 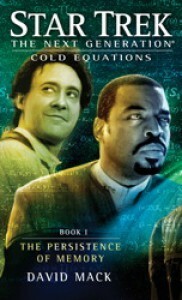 Though this is a science fiction book, you need not know the complexity of quantum mechanics and neurology to follow the plot, although I appreciated the well placed info dumps. There is also a romantic aspect to it by way of Jason’s love to his wife Daniela, this love fuels Jason’s desire to get home. I found the scenes on their romance a bit off. Just a bit. I might get spoil something (but not the book’s ending) on this next section. The many-worlds interpretation implies that all possible alternate histories are real, each realized in their own world in their corner of the multiverse. It’s terrifying when you consider that every thought we have, every choice we could possibly make, branches off into a new world. In this book, the alternate world branched off fifteen years ago when Jason faced a decision: to continue the relationship and build a family with Daniela or to continue his work as a scientist and make a breakthrough. I always play the “What if” game, what if I did this, what if that happened. In the end of the game I always tell myself, at least somewhere in the multiverse a version of me will get what he wanted. In life there is no do-overs – there are no time machines, yet — but it is harmless to dream once in a while. 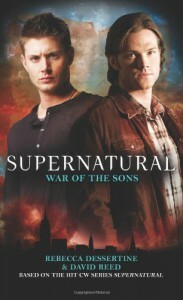 I liked how the main conflict of the book was written. I was surprised because I haven’t seen the branching of worlds affecting the main character on other multiverse stories. Quick rating: I very much loved it. "It's terrifying when you consider that every thought we have, every choice we could possibly make, branches off into a new world." Reading progress update: I've read 22%. 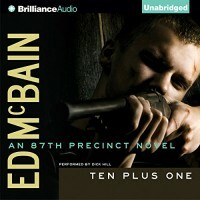 The audiobook did not captured me. I found it slow even if I am already listening to 1.5x speed. I can't stand listing twice the speed though. I still find the story interesting so I will revisit reading the ebook in the near future. I have a fascination on the many worlds concepts both in theoretical physics and in fictional worlds. With the goal of reading recently released paperback books (I just usually buy used books released years ago), I picked up A Darker Shade of Magic. I wanted to know how the concept of parallel worlds used in a fantasy setting. 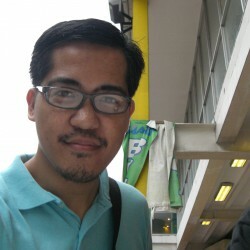 Previously, I just read fantasy stories that only have two worlds, the mundane and the magical. Now I get to read four worlds in one. A Darker Shade of Magic is the first of a trilogy written by V.E. Schwab. This is my first book from her. This book was first released in 2015. This is the story of Kell, one of the few remaining Antari. They are magicians that can traverse in between worlds. There are four worlds with one thing in common, all have a city that is named London. These Londons are designated by color, Gray, Red, White, and Black. Kell is from Red London. Here he grew up with the royal family but not a part of it. He consider Prince Rhy his brother. Officially, Kell is the ambassador to the White and Gray London. (Traveling to the Black London is forbidden.) Unofficially, he is a smuggler for items only found in other Londons. One day he came across with a dangerous artifact that in the wrong hand can be used to destroy the walls separating the London. He cross paths with Lila the pickpocket from Gray London and together they set things the right way. Kell is the best written character. Other characters, including the antagonists, not as much. I liked how the differences of the Londons were written. I, as the reader, can easy tell which London is which. The plot lines are tied in the end. I can end reading now or pick up the next books. I recommend this book for those who like to mix and match their genres. 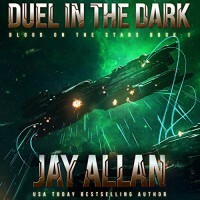 I haven’t read the blurbs of the next books but I will pick them up but not anytime soon. Reading progress update: I've read 14%. Reading has been my past time in a long time. Growing up in the province my access to reading materials when I was a kid is very limited but I was contented with reading the short stories in my English and Filipino textbooks. In high school, I now have access to fiction books from the school library. Most of the books in the library are the classics and literary novels. These were required reading and we have to make book reports so reading them became a chore and not enjoyable. Until I found out about the Choose Your Own Adventure Books. I pretty much enjoyed those books. In college I may have forgotten reading for pleasure. Even if I had time to read, the college library does not carry fiction novels. The only time I enjoyed reading is from reading the comics collection of a friend. I remember reading issues of X-Men, X-Factor, Superman, and D.P. 7. My interest in reading returned when I chanced upon a battered book when I already started working. It does not have a cover and the story is set on a world where technology is based on organic materials and not on metals. The story intrigued me and I kept on reading the book during my down time. Too bad I can’t remember the title of the story or who wrote it. 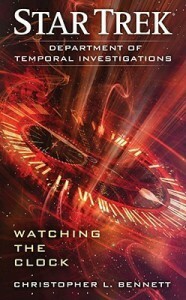 This book showed me that my genre of choice is science fiction (or speculative fiction in general). Since I am already working (meaning I have the means) and staying in the city (meaning I have the access), I can now buy my own reading materials. The bookstore is like a candy store! Too many books to choose from. The bookstore also introduced me to Star Trek original novels and media tie-in books in general. This is also the time that I started buying comic books, mostly from the X-Men line. And then I discovered used books stores. The books are dirt cheap. Then I started hording. I also branched to magazines by this point. I have a bad habit of starting a book but not finishing it or reading multiple books at a time. Also when I read a book, I pretty much jump to another book immediately. I do not give myself enough time to reflect on the book I read. When someone asks me how I see the book, all I can say is “I liked it” or “not liked it” with no further elaboration. I would like to change that. Well, I tried it before but the only word that can describes my attempt to write reviews is “terse”. Most actually fits as a tweet. How should I do it? I asked myself. I need a structure. So I made one that I hope I can follow (I might also use these guide questions as section headings). 1. Why did you pick this up? 4. Did you liked it? 5. Would you recommend it? There you go, a book review for at least 5 sentences! I will also do a status update on the first 10% placing my initial impression of the book. And on the 20% mark or after 50 pages (whichever comes first), I will evaluate if I need to proceed reading. If I will DNF the book (short for did-not-finish), I will post a status update as to why and if I there is chance that I might revisit the book in the near future. I now have a plan for this book blog. I hope I can stick with it. Crossing fingers. Wow, I write more than 700 words this time! Nice! 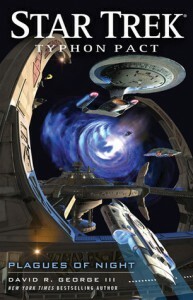 A must read for TNG fans in general and Data in particular! reads like an extended episode. with bonus expanded characterization of 2nd tier characters. 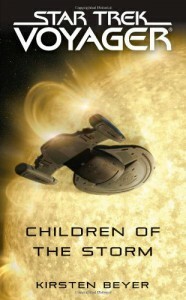 i am liking the direction of the voyager novels. 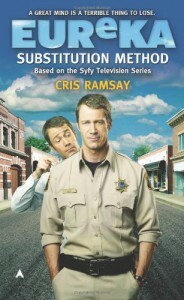 not for casual readers since the plot relies heavily on the television episodes. loved mr bennet's attempt on grounding star trek time travel on current physics theories. also the characters and the cameos.